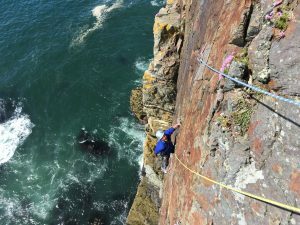 Are you stuck inside or seconding routes and want to learn how to lead climb on Trad protection? 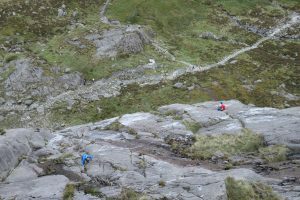 The world of traditional climbing is a door that can be opened to you if you come on a learn to trad climb course with Snowdonia Mountain Guides. If you don’t know your nuts from your cams or a clove hitch from an overhand then it’s time you did. 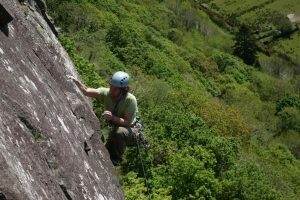 We offer a great introduction to trad lead climbing courses based in Snowdonia that will cover all the skills you need to know to become an independent traditional lead climber. 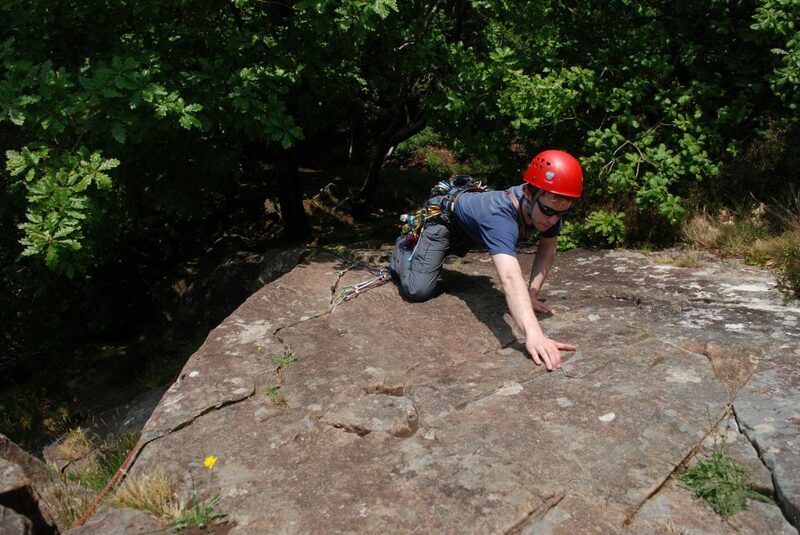 During the course we cover the safe operation and use of all the gear that you are likely to find on a trad rack. 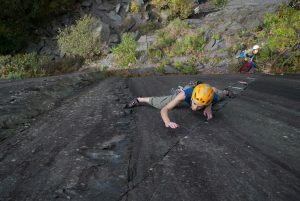 The course also covers the ropework you’ll need to make a belay and bring up your second in safety. 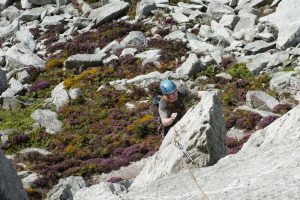 In order to get you from where you are to leading outside we will also cover basic climbing technique, tactics and of course how to get down safely from the top of the crag. 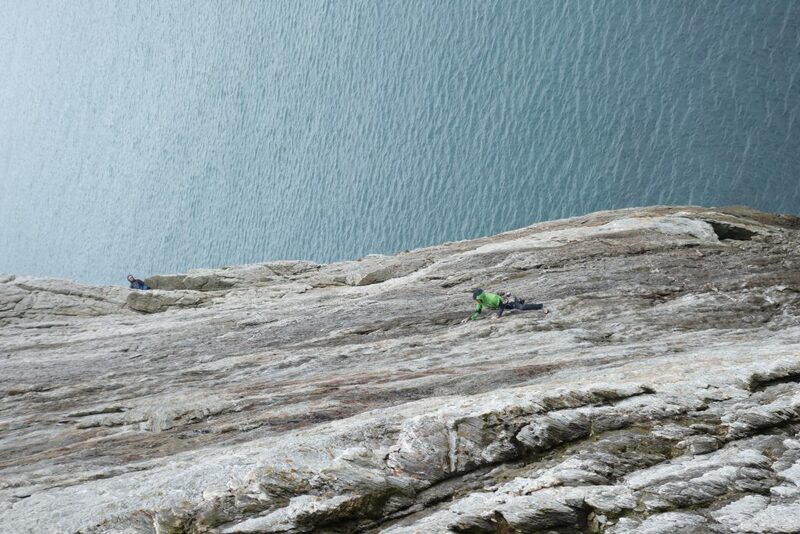 All accomplished whilst climbing some of the classic climbing routes that Snowdonia is famous for. 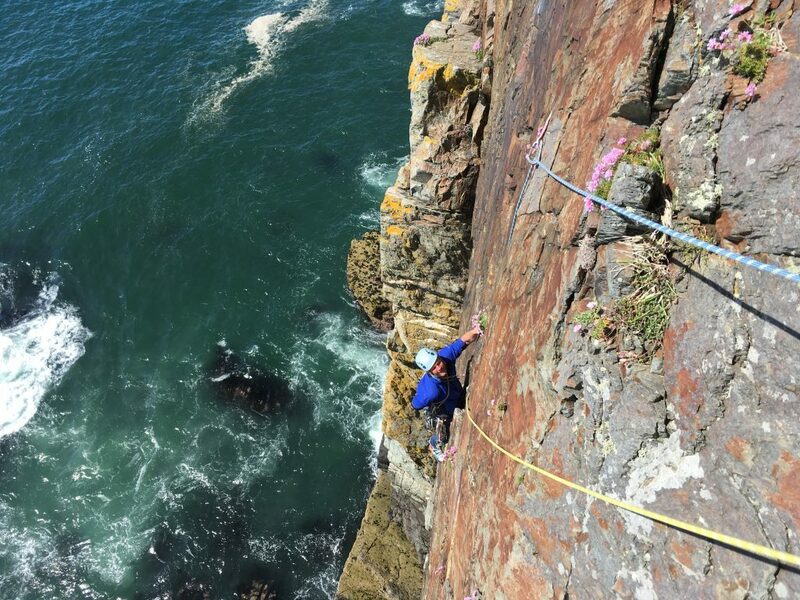 This course is like being handed the keys to a whole new world and life of adventure awaits on the other side. 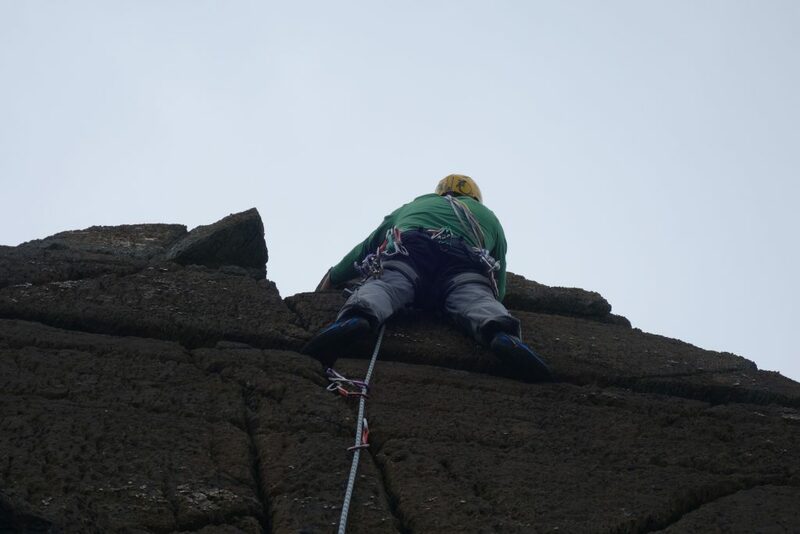 Learning to lead climb safely and in a controlled manner will make the rest of your climbing career a dream. Ian Hey totally focused having made the long reach for the jug on Scratch Arete, Pant Ifan tremadog. Hazel Robson with a determined look having made the crux step on Monsyter Kitten, E1 Dinorwic Slate. 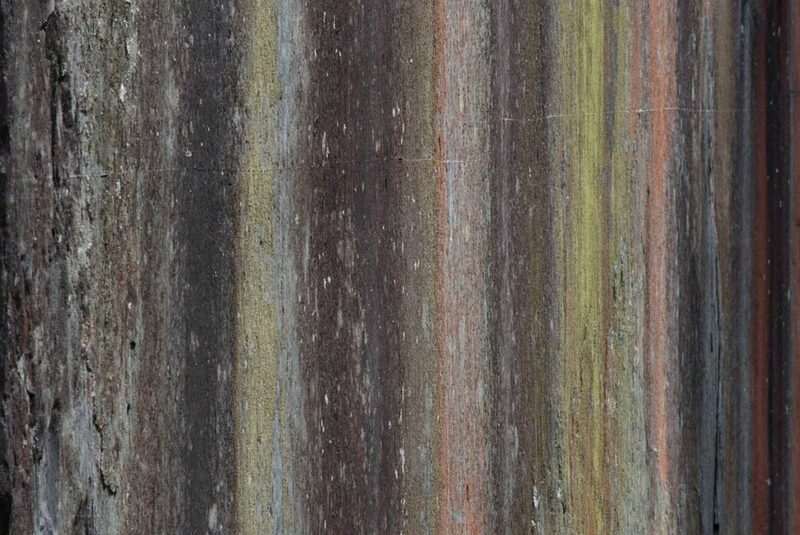 Idwal Slabs, one of the classic beginners trad climbing venues in North Wales. 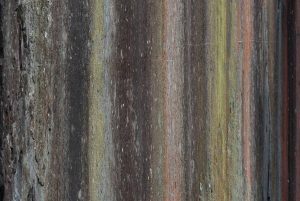 The amazing Sea Spray Wall at Porth Saint, Rhoscolyn. 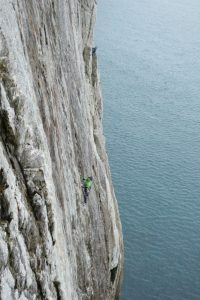 The area was previously known as crag X.
Simon Geering on the amazing Teenage Kicks on Holyhead Mountain.